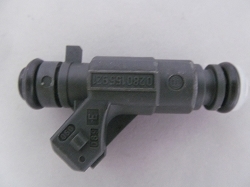 Mike's Fuel offers a full line of new and re-manufactured fuel injector parts for Volkswagen. Our original equipment type fuel injector parts are certified to meet or exceed the original manufacturer's specifications. We provide a 12-month warranty on all of our fuel injectors, so you can shop with confidence. Our fuel injectors have better fuel atomization, which improves the emissions of your Volkswagen. All of our re-manufactured Volkswagen fuel injectors receive an ultrasonic cleaning and are tested for spray pattern, volume, leaks, and OHMS. 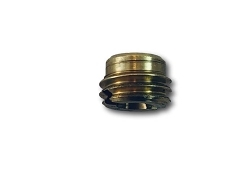 Each Volkswagen fuel injector ships with brand new filters and o-rings, and is ready for installation. VIN number is usualy the 7th, or 8th character. 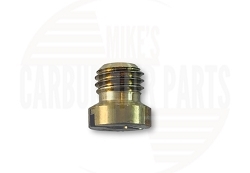 Mike's Fuel is your #1 online fuel injector parts distributor. We have competitive pricing on all Volkswagen fuel injector parts and offer a wide selection of both new and re-manufactured fuel injectors and pressure regulators. Click any of the part numbers in the list above to see more information on our specific products. All of our Volkswagen fuel injector parts are eligible to ship via FedEx, for faster shipping time, or USPS First Class, to save on costs. First Class shipping is just $4 on most items. If you do not see the specific Volkswagen brand part that you need, please let us know. We may be able to help you find it.